Gayatri Construction Machinery, whole business operations are performed under the careful guidance of Mr. Hemal Thaker (Director). They have enabled us to establish a distinct position in the industry, with his sharp business acumen, industrial exposure and quality centric approach towards the business. To meet the growing demands of our clients, we have set-up an advanced infrastructural set-up at our premises. We understand that technology plays a vital role in enhancing the distribution process. All the equipments offered by us have been tested for its quality and performance centric nature. We have divided our operations as per various departments. All these departments have been constructed keeping in mind various business processes of the company. We have hired a bunch of experienced team of professionals who have proved their expertise in the relevant industrial domain which is highly beneficial for effective operation of various business activities. Every employee working in our organization is employed after effectively passing out recruitment tests, conducted to determine their business acumen, creativity as well as knowledge about the respective domain. Gayatri Construction Machinery has acquired strong competencies all areas of manufacturing & marketing and is now a Last Stop for anything in this field. Right from to Management of Customer relationship. We use optimum raw materials to manufacture our range of products. 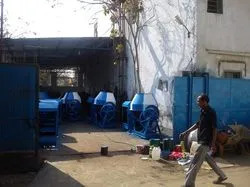 Our machinery is at par with international standard in terms of quality. Our customers are extremely satisfied with the high functionality and durability of machines thus make us the prior choice in the market. 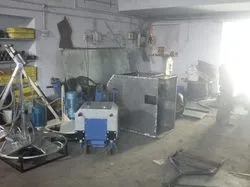 Our research and development facility is responsible for introducing innovation in our products and this department has been instrumental in bringing forth overall development of our organization. This unit is handled and operated by expert analysts who engage themselves in extensive surveys and research backed studies to come out with ways to improvise our existing product line and introduce new and improved products. Our team comprises of highly qualified and experienced technocrats and engineers, who understand the dynamic needs of the end-users. Their perseverance, dedication and enthusiasm towards meeting the specific construction machinery spares requirement has also helped us to emerge as leading suppliers in our industry sector. Since the establishment of our organization, we have laid utmost emphasis on providing maximum convenience to the clients and attaining complete client satisfaction in the process. We offer our products at industry leading prices, so that clients get value for their invested money. We have constructed a sound and sophisticated infrastructure base, which is instrumental in manufacturing an unparalleled range of Concrete Mixers and Construction Machinery. Located at Ahmedabad in Gujarat, this unit sprawls over a vast area and comprises various sub-units. 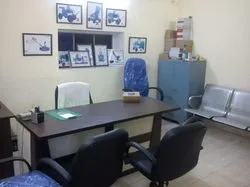 The various sections that are developed at our base include manufacturing unit, research & development department, quality testing division, administration and logistics unit. 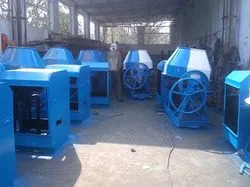 The consistent production of qualitative construction machinery spares and making them available at competitive prices has helped us to earn an enviable list of large clientele, spread to almost each corner of the globe. Further, our transparent business policies also aids us in maintaining long term and mutually beneficial business relationships with our clients. Quality and service is our trademark. With our knowledge and expertise we understand the requirements of our clients and deliver our range as per their specifications. It further enables us to successfully cater to diversified industry requirements and have made us the preferred choice among our major competitors.